Born in 1995 in Tyumen’. A graduate of the Children's School of Arts under the Tyumen State Academy of Culture, Arts and Social Technologies (class by associate professor Sergey Samsonov). A graduate of the Novosibirsk Music School (class by the Honored Artist of Russia, Vladimir Surnachev and Sergey Nokhrin). From 2015 he continues studies at the Russian Gnessin Academy of Music (class by the Honored Artist of Russia, Professor Dmitry Lukyanov). A winner of the International Television Competition for Young Musicians "Nutcracker" (Moscow, 2008), of the International Competition "Talents, Hopes, Masters" (Dobrich, Bulgaria, 2009). 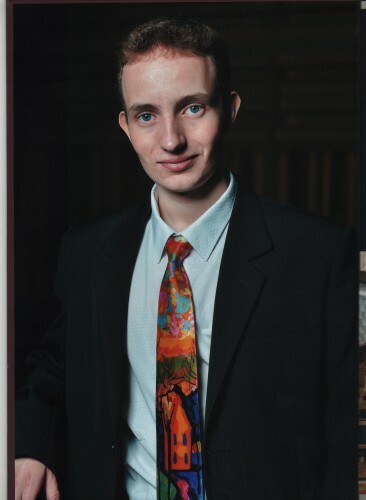 A winner of the Grand Prix at the International Competition-Festival of Young Performers on Wind and Percussion Instruments "Siberian Music Assemblies" (Novosibirsk, 2014). A scholarship holder of the Vladimir Spivakov Fund "New Names". He gives performances in Russia and abroad.